Visit Istanbul Turkey and you will find it a very interesting city to explore. It stands at the crossroads between liberal Europe and traditional Asia. However, most Turkish people view Istanbul as a more European metropolis. Still the city has managed to honor its past by preserving its oldest district. If you come to Istanbul Turkey and don’t know how to begin your metropolis exploration, visit the Old City, where the legacy of this great city started. After Constantine the Great conquered the city he made it the new eastern capital of the Roman Empire in 330 AD. The city became widely known as Constantinopolis (Constantinople), which in Latin means the “City of Constantine”. By the 19th century, however, the city had acquired a number of other names used by either foreigners or Turks. Istanbul (this is the English spelling) was officially adopted as the sole name of the city in 1930. The name Istanbul derives from a Medieval Greek phrase which meant “to the city”. As a result this reflected its status as the only major city in the vicinity. Much in the same way people today often colloquially refer to their nearby urban centers as “the City”. An alternative view is that the name evolved directly from the name Constantinople, with the first and third syllables dropped. While in English the stress is on the first syllable (Is). In Turkish the stress is on the second syllable (tan). In English a person from the city is an Istanbulite. Istanbul was founded around 660 BC as Byzantium. That city is now known as Istanbul. It has developed to become one of the most significant cities in history. For nearly sixteen centuries following its reestablishment as Constantinople in 330 AD, it served as the capital of four empires. It was the Roman Empire (330–395), the Byzantine Empire (395–1204 and 1261–1453), the Latin Empire (1204–1261), and the Ottoman Empire (1453–1922). The city was instrumental in the advancement of Christianity during Roman and Byzantine times. That was before the Ottomans conquered the city in 1453 and transformed it into an Islamic stronghold. The Republic of Turkey established its capital in Ankara. As a result, palaces and imperial mosques still line Istanbul’s hills. It is a visible reminder of the city’s previous past. Istanbul is the world’s fifth most popular tourist destination. As a result it is a great travel destination. It is a city of fantastic history, culture and beauty. Formerly it was known as Byzantium and Constantinople. Istanbul is the most populous city in Turkey. You’re in good company when you visit Istanbul turkey. Istanbul is the largest city in Turkey. It constitutes the country’s economic, cultural, and historical heart. It has a population of 13.9 million and the city forms one of the largest urban agglomerations in Europe. Istanbul is among the largest cities in the world by population within city limits. The city has a huge area of 5,343 square kilometers (2,063 sq. mi). Hence due to its huge size, it has a population density of only 2,593/km2 (6,720/sq. mi). Istanbul is a transcontinental city, straddling the Bosphorus. The Bosporus or Bosphorus is a narrow, natural strait. The strait is an internationally significant waterway located in northwestern Turkey. It is also known as the Istanbul Strait. Located between the Sea of Marmara and the Black Sea its commercial and historical center lives in Europe. 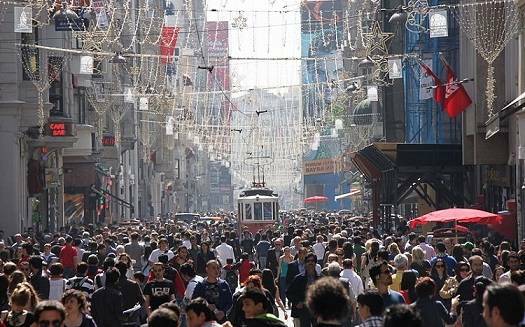 A third of Istanbul’s population lives in Asia. 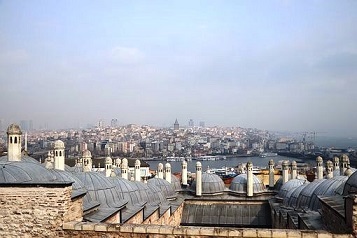 Seven million foreign visitors visited Istanbul in 2010 when it was named a European Capital of Culture. As a result the city became the world’s tenth-most-popular tourist destination. The city’s biggest draw remains its historic center which is partially listed as a UNESCO World Heritage Site. But its cultural and entertainment hub can be found across the city’s natural harbor, the Golden Horn. The biggest attraction in the city is its historic center. It is partially listed as a UNESCO World Heritage Site. Its cultural and entertainment hub is across the city’s natural harbor, the Golden Horn, in the Beyoğlu district. Istanbul is considered a global city. It has one of the fastest-growing metropolitan economies in the world. The Old City of Istanbul encompasses the Sultanahmet and Eminonu sections, which are situated on the peninsula surrounded by the Golden Horn River and Bosporus Sea. This is truly a historic area, as it was where Constantinople, the glorious Byzantine capital was located. As the previous administrative capital for the Ottoman Empire, the Old City flourished. The palaces, government offices and other historical monuments built around the area are reminders of the city’s development and growth. To appreciate these structures up close, go for a walking tour around the area. If your feet are not up to the task, you can also ride the tram network, which has stops near most tourist landmarks. One of the most impressive buildings in the Old City is the Ayasofya Müzesi. It was originally built as an Orthodox Church during the reign of the Byzantine Empire. By the 15th century, it was converted into a mosque. Today, the building is now the Hagia Sophia Museum, and has served as an iconic landmark for the Istanbul. An Istanbul street at night. 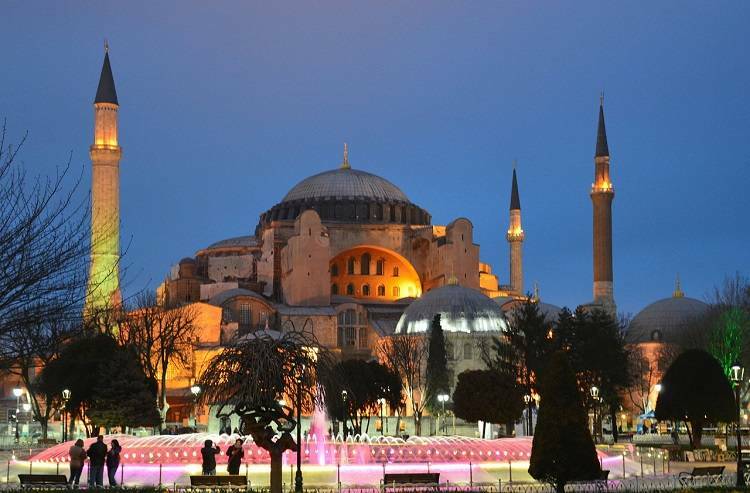 Walk across Ayasofya, to visit another highly distinct landmark in the Old City, which is the Blue Mosque. Locally known as Sultanahmet Camii, it is considered the biggest and one of the most historically important mosques in Istanbul. Do not be surprised this mosque’s exterior is not blue, as it has taken its name from the blue tiles used to decorate its interior walls. Another architectural masterpiece you should not miss visiting is the Yerebatan Sarinci or the Basilica Cistern, which is the largest of its kind in Istanbul. Built under the order of Byzantine Emperor Justinian, the cistern features more than 300 marble columns that support a huge ceiling. When it comes to design and historical value, the Topkapi Palace (Topkapi Sarayi) should also be at the top of your itinerary. A former residence of the Ottoman Empire Sultan, the palace is quite enormous with four courtyards and spacious imperial rooms. A tour around the entire Topkapi Palace may take quite a bit of time, but it can definitely give you a fascinating glimpse of how a sultan lived his lavished life. The Old City is also home to some of the best museums in Istanbul. That includes the Great Palace Mosaic Museum and the Istanbul Archaeological Museum. Additionally it includes the Museum of Turkish and Islamic Art. 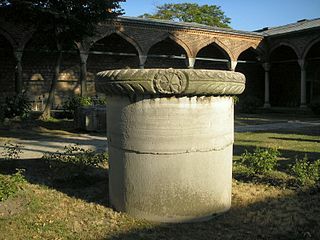 Remains of a Byzantine column of Byzantium’s acropolis, located today within the Topkapı Palace complex. Istanbul’s architecture reflects much of the past. It is primarily known for its Byzantine and Ottoman architecture. However, its buildings reflect the various peoples and empires that have previously ruled the city. Examples of Genoese and Roman architecture remain visible in Istanbul alongside their Ottoman counterparts. A section of the Valens Aqueduct, constructed in the late 4th century, stands relatively intact at the western edge of the Fatih district. The Column of Constantine, erected in 330 CE to mark the new Roman capital, stands not far from the Hippodrome. Lying in ruins is the Monastery of Stoudios (later converted into the Imrahor Mosque), which was built in 454. Have you been to Istanbul? 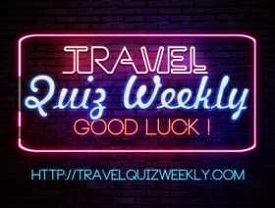 If so, add your insights below about this exciting travel destination. After an exciting exploration of all the magnificent architectural pieces within the Old City, walk your way to the Grand Bazaar locally known as Kapali Carsi. This huge closed market has been in existence since the 15th century in 1461, and features various types of shops. 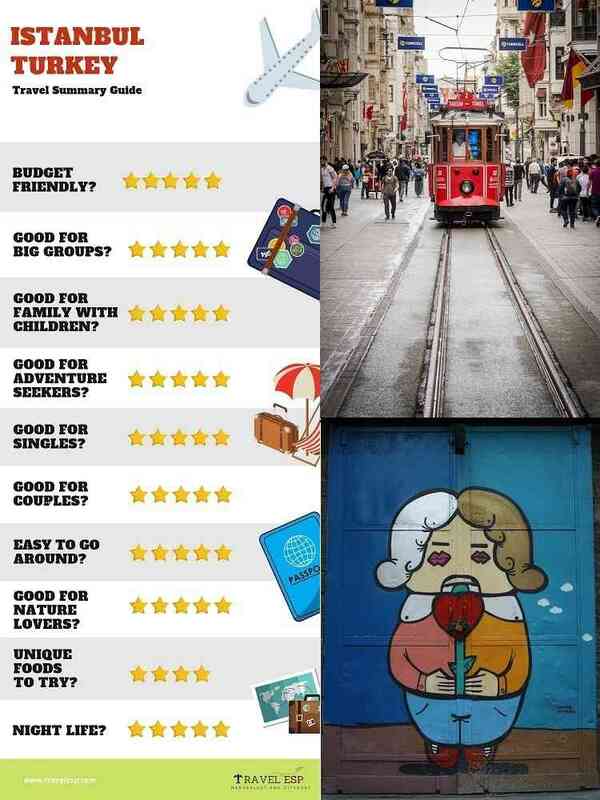 Here, you can find the products that are of great value to the Turkish culture. 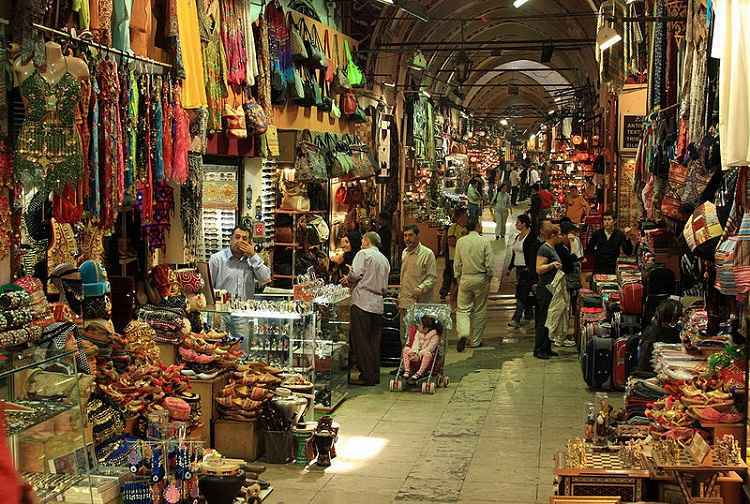 There is also the Mahmutpasha Bazaar which is an open-air market or a shopping street extending between the Grand Bazaar and the Egyptian Bazaar, which has been Istanbul’s major spice market since 1660. This market area, with lots of small shops on both sides of the main street is a symbol of cheap shopping in Istanbul. The bazaar hosts over 200 shops. These bazars and their wares are awfully tempting. Maybe you should buy a souvenir or two to bring home a small part of Istanbul with you when you visit Istanbul Turkey. Hagia Sophia lit up at night. Museums and other things: Haghia Sophia, then on to the Topkapı museum. Preferably along the road in the back of the Haghia Sophia, where there are some nicely restored houses. Then on to the Blue Mosque and the square with the obelisks on it (At Meydani). Along its side is the Museum of Islam Art. Descend slightly and find the small Haghia Sophia with its nice garden. Then uphill to the Sokollu Mehmet mosque complex, where there are top notch tiles inside. The original walls from 408 CE of Constantine were replaced in the reign of Theodosius. They are still almost completely intact, marking the western border of the peninsula of Old City. About a 7 kilometer walk along and on these remaining portions of the city wall gives you a window into antiquity. It puts an emphasis on Turkey’s terrible historic monument legacy. If you’re interested, you can download and print a scholarly historical and technical description of the walls. It’s best you do this before you visit Istanbul to give you a better understanding of the wall’s history and meaning. 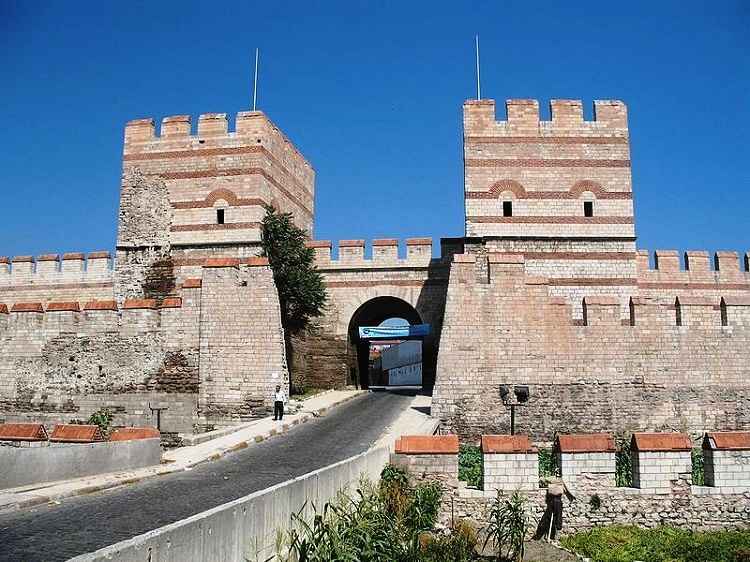 Visit this restored section of city walls at Belgradkapı Gate. It is close to Marmara coast. There are parts of the wall where you have a choice of walking up the outer wall or the inner wall. But access to the top of the battlements is usually on the inside. In places you can climb up onto this section of unrestored wall on crumbling brick and stone. Sometimes there are dwellings and commercial enterprises up against the wall. Sometimes a bus depot, a rubbish dump or often just the road. Finally you will arrive at the Golden Gate and Yedikule Fortress. It fronts the Marmara Sea and was Byzantium’s triumphal point of entry. You do have to pay an entry fee. The high walls and towers are all accessible. One tower still has internal wooden floors. If you take the full walk you would have surveyed the protective land walls which kept Byzantium and the Eastern Roman Empire safe for all those years after the fall of Rome. They were breached only by the 4th Crusaders and the Ottomans. There is a large ferry cruising to Anadolu Kavagi at the northern entrance of Bosphorus to the Black Sea. It has various stops. It is very popular, so arrive early and get in line. The open decks are very popular. Unless you have an outside seat expect people to be standing all around you restricting your view. The ferry does stop for a few hours in Anadolu Kavagi. So as you leave the ferry you you will see numerous restaurants and their spruikers. 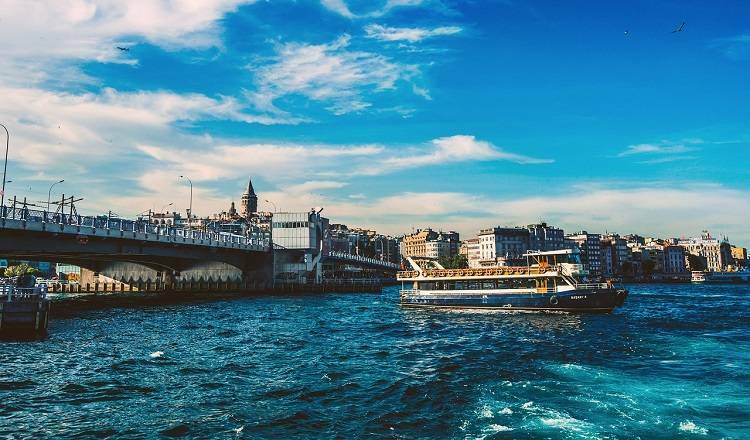 Take a Boshporous cruise while visiting Istanbul. First take the walk to the Yoros Kalesi, a strategic castle overlooking and controlling the entry to the Black Sea. This was an important fortification with a commanding view. It was fought over for many years. It was last in use in the 19th century. Since then it has fallen into serious disrepair. However, Christian engravings are still visible in the stonework. There are restaurants actually in the castle surrounds and naturally have spectacular views. After you wander back to the village grab a lunch. Later in the afternoon you can take the ferry back to Eminonu. North of Taksim Square is New Istanbul. It is the main business district of the city. If venturing out in this direction, don’t forget to check out Military Museum. It is where Ottoman military music concerts (Mehter) are held every afternoon. Nice music is always good to hear. It helps to clear your mind. There is also the Museum of Islam Art. A visit to a hamam (Turkish bath) should be an essential part of any trip to Istanbul. It is something you’ll almost surely repeat before leaving. There is at least one historical hamam in each neighborhood of Istanbul. Be sure to take care in selecting a hamam. They can vary greatly in cleanliness. Most places will offer a scrubbing and/or a massage. Just being in the Hamam (as a sauna), is enough for seeing and experiencing the place. However, the scrubbing is a great experience. The massage is not, however, necessarily any better than those found in western countries. 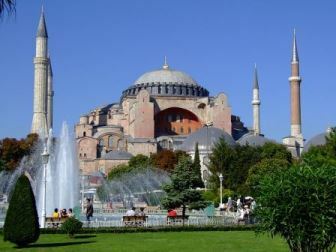 Due to its long history as the center of many empires, Istanbul offers a wealth of historic and religious places to see. Most of these ancient monuments, date back to Roman, Byzantine, and Ottoman periods. Such monuments include the Hagia Sophia, Topkapı Palace, Sultanahmet Mosque (Blue Mosque), and Basilica Cistern. They are around Sultanahmet Square. Istanbul Miniaturk Park. 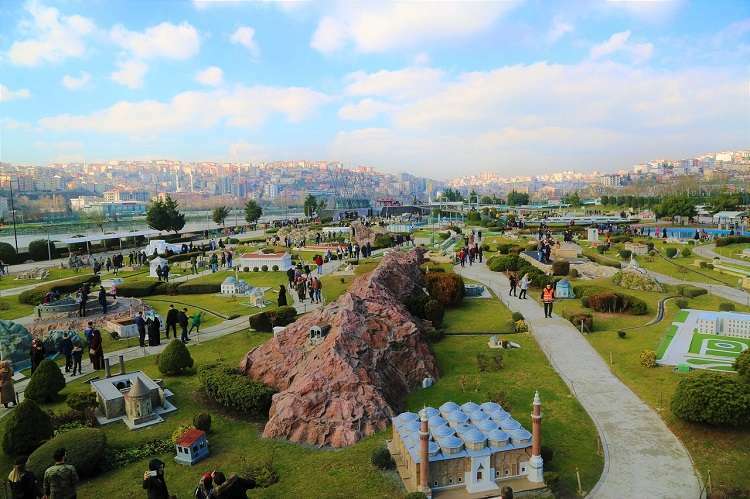 It was the first miniature park in the city, with models from around the former Ottoman Empire. Some others are dispersed throughout the peninsula of old city. One, such as the Church of the Holy Saviour in Chora, has the entire inside covered by fantastic frescoes and mosaics. Across the Golden Horn, is Galata, crowned by the Galata Tower. 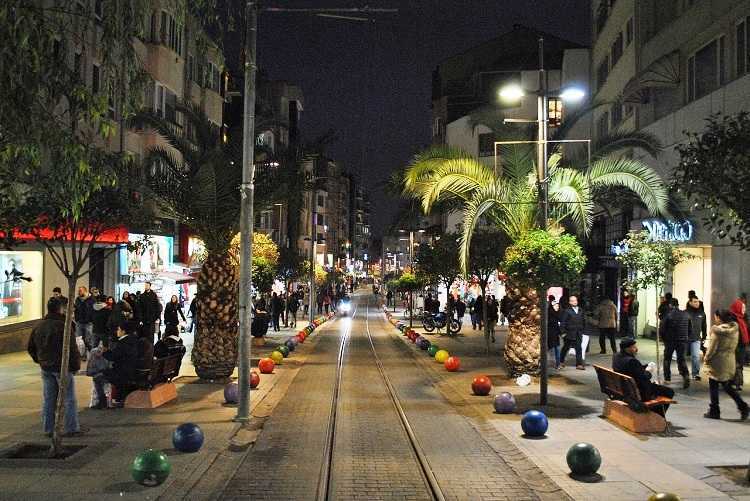 Another area with a few big good looking places is the Rıhtım Caddesi, between Galata bridge and Istanbul Modern Museum. Istanbul Modern, has exhibitions of contemporary Turkish art and is located on the nearby waterfront of Karaköy. On the opposite shores of the Horn, in Sütlüce is the Miniaturk. 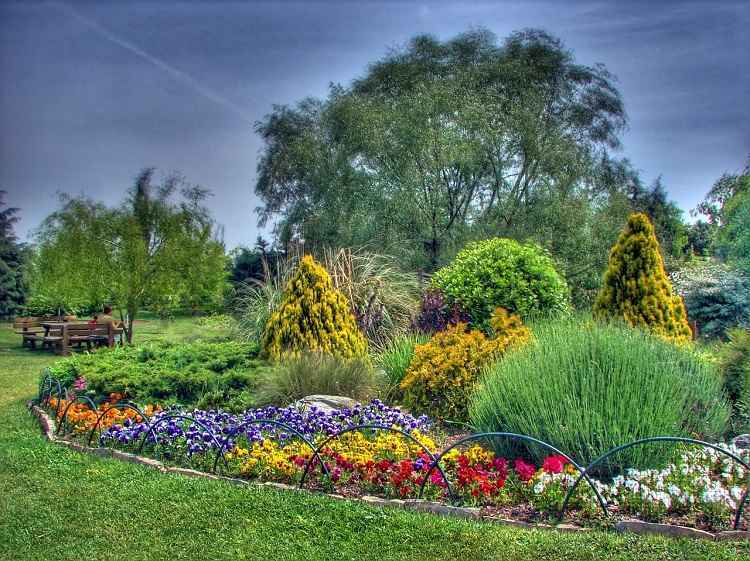 It was the first miniature park in the city and has models from around the former Ottoman Empire. Along the banks of Bosphorus, is lined by pleasant neighborhoods full of waterfront mansions. There are a number of waterside palaces that you can admire what money could buy in times gone by. 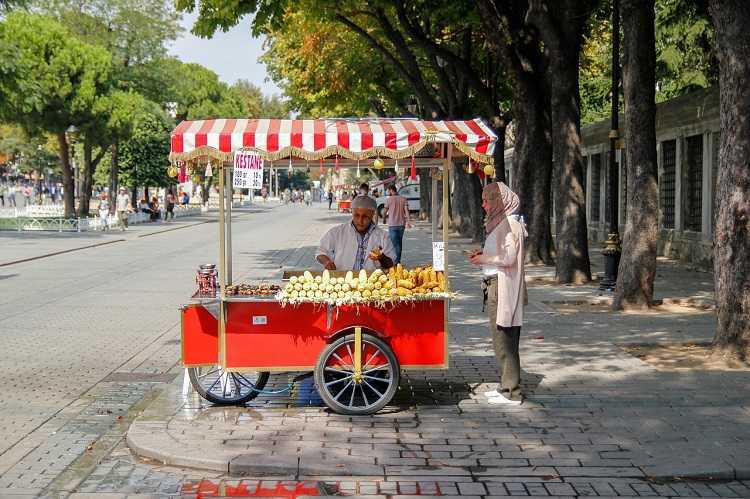 A neighborhood that may be well worth a visit is Eyüp. That’s where the city’s holiest Islamic shrine is. 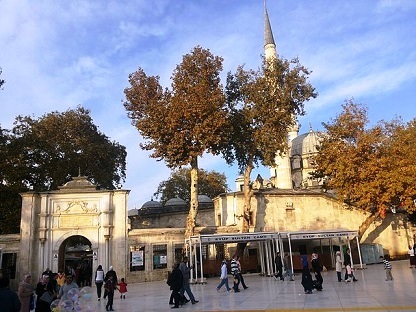 The mosque of Eyüp is the holiest in Istanbul. Indeed after Mecca and Jerusalem it is perhaps the most sacred place of pilgrimage in the Islamic world. You will see all the religious people wandering around the narrow cobblestone streets. Many with turbans and what not. There you can see what daily life in Ottoman Istanbul might be like. 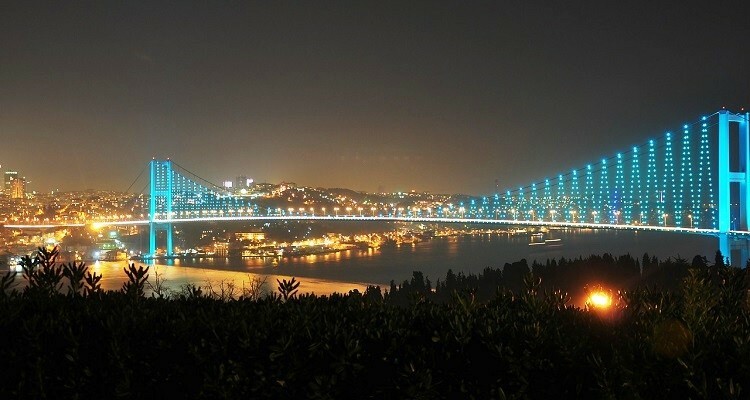 The Bosphorus Bridge at night. Across the Bosphorus to the east is Asian Side. It is centered around the historical districts of Kadıköy and Üsküdar. It is perhaps best symbolized by Maiden’s Tower, located at about halfway between these districts, on an islet just off the shore. Bosphorus and Marmara coasts of this half of the city is characterized by quite picturesque neighborhoods. It is overlooked by Çamlıca Hill and is one of the highest hills of the city. It also has a view of much of the rest of the city, with a café and a pleasant park on its summit. Southeast of the city, off the southern coast of Asian Side are the Princes’ Islands. It is an archipelago of nine car-free islands. It is characterized by stunning wooden mansions and pine groves. 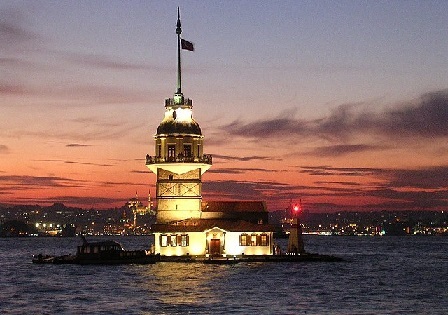 Maiden Tower (Kız Kulesi) in the evening. Photo by Mkaraarslan. Today Kadıköy and Üsküdar are the main areas of visitor interest on the Asian side. Inland are miles of bland suburbs, with high-rise apartment blocks and shopping malls. 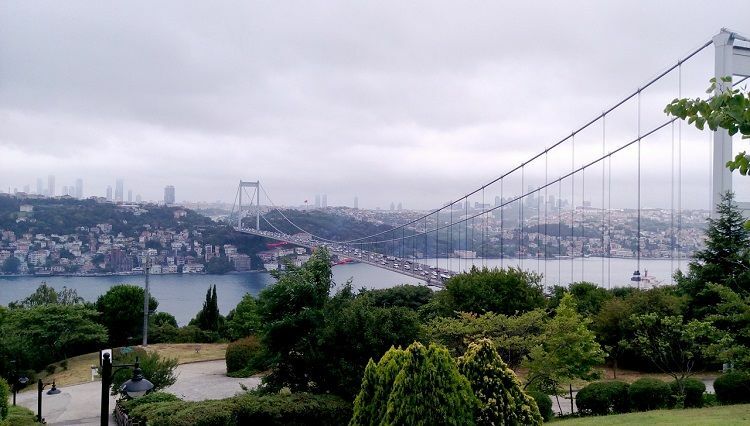 Those sprang up when the first Bosphorus bridge made inter-continental commuting easier. The Asian Side has about 4.4 million people. That’s a third of Istanbul’s population. Some 1.3 million of them commute daily to Europe. There are however, a string of interesting places along the Bosphorus coast. You can see old palaces, mansions, and neighborhoods with character. There are also stretches of parkland along the Marmara coast. In 2005 the city boundaries were extended on both sides. These new areas of Istanbul are mostly rural, but may not stay that way much longer. Being mostly residential and rural there isn’t a lot for tourists to do. There is Caddebostan Beach. it was recently opened on the site of a beach that existed 40 years ago, before Istanbul became the huge city it is today. It has a re-created sandy strand 450 meters long, and a kiosk offering snacks and soft drinks. The beach is run by the city council. It becomes very crowded on summer weekends so keep that in mind if you want to visit. You can catch a classical musical performance at the Süreyya Opera House. It used to be a movie theater. This turn-of-the-20th-century Beaux Arts building now houses performances of ballet, opera, and classical concerts. Good tickets are often very cheap. Founded in 1918, the society is often considered the most respected social club offering classes in the classical Ottoman music. Tarihi Çinili Hamamı is on this side of Istanbul. It is cheaper than on European side. You can get a full massage and scrub. Istanbul has been a cosmopolitan city throughout much of its history, but it has become more homogenized since the end of the Ottoman Empire. However, most of Turkey’s religious and ethnic minorities remain concentrated in Istanbul. 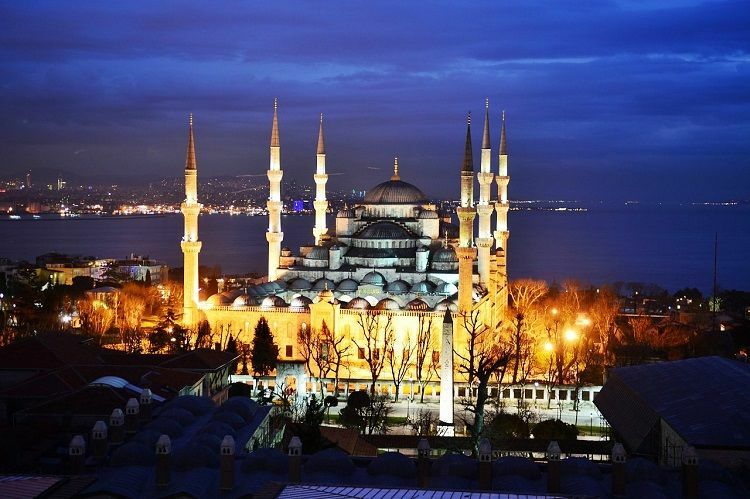 The vast majority of people across Turkey, and in Istanbul, consider themselves Muslim, and more specifically members of the Sunni branch of Islam. The largest non-Sunni Muslim sect, accounting for 4.5 million Turks, is the Alevis; a third of all Alevis in the country live in Istanbul. There are between 50,000 and 70,000 Armenians in Istanbul. The largest ethnic minority in Istanbul is the Kurdish community, originating from eastern and southeastern Turkey. Between two and four million residents of Istanbul are Kurdish. This makes more Kurds in Istanbul than in any other city in the world. There are small numbers of Jewish, Greeks, and Latin Christians in the city. Istanbul’s climate is noteworthy as a borderline Mediterranean climate and a humid subtropical climate. It is the result of only two summer months with less than 1.6 in of rainfall. 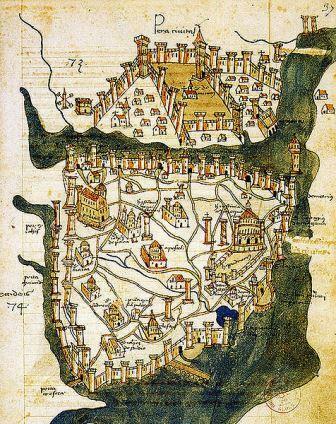 Istanbul exhibits microclimates due to its vast size, diverse topography, and maritime location. Northern parts of the city express characteristics of an oceanic climate as a result of humidity from the Black Sea and the relatively high concentration of vegetation. The climate in the populated areas of the city in the south is warmer and less affected by humidity. One of the most salient characteristics of the climate in parts of Istanbul is its usually high humidity. 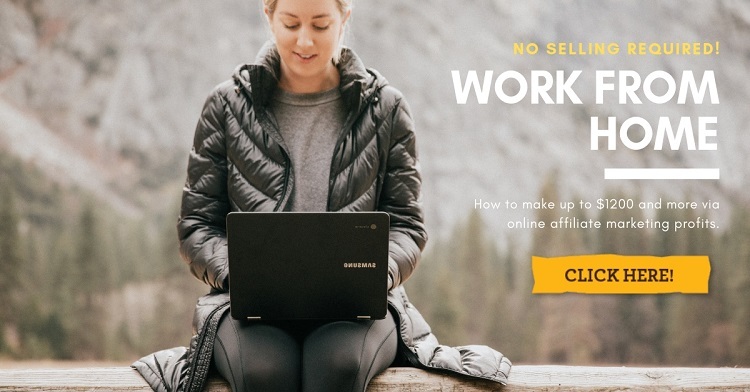 As a result it reaches 80 percent most mornings. Consequently fog is very common, although more so in northern parts of the city and away from the city center. During the two summer months, high temperatures average around 29 °C (84 °F) and rainfall is uncommon. There are only about fifteen days with measurable rain between June and August. Nevertheless, despite the low precipitation, the summer months also have the highest concentration of thunderstorms. 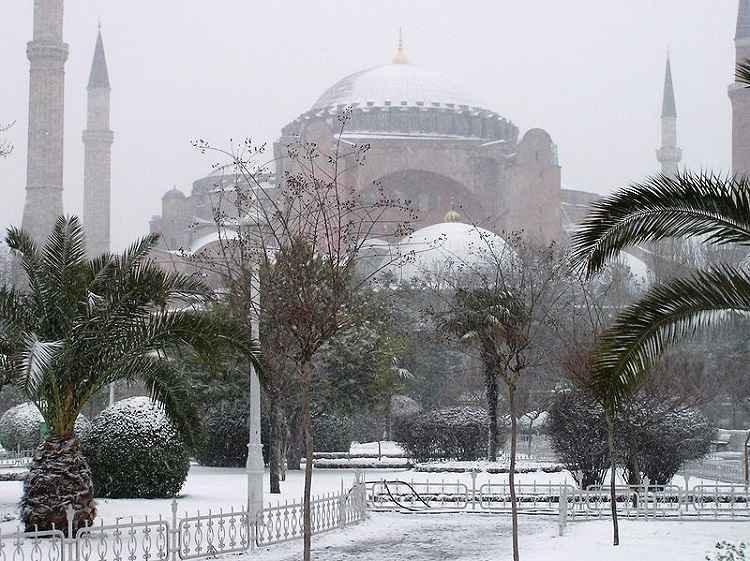 Winter is colder in Istanbul than in most other cities around the Mediterranean Basin. The low temperatures average 4–5 °C (39–41 °F). 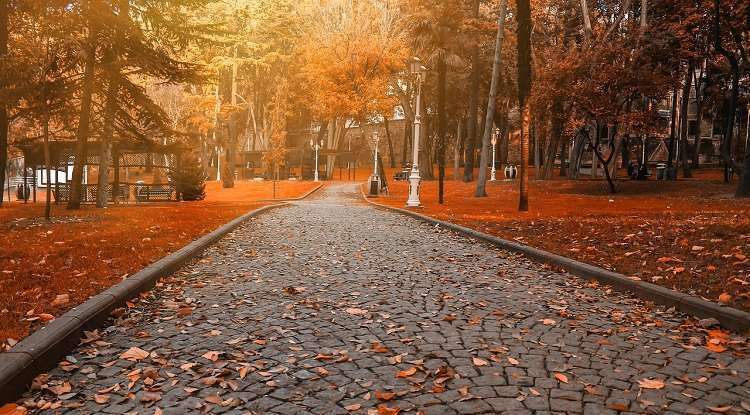 Spring and autumn are mild, but often wet and unpredictable. Chilly winds from the northwest and warm gusts from the south, sometimes in the same day, tend to cause fluctuations in temperature. Depending on your preferences and time off, pick a convenient time to visit Istanbul when the season is right for you. 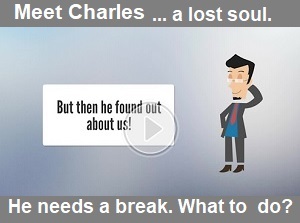 Charles has a blog of some of his adventures. 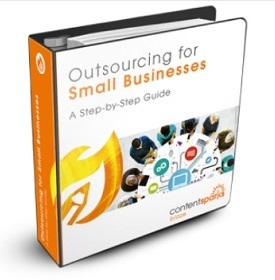 He also reviews Business’ and website PLR.